Emergency workers on Wednesday fled and then returned to a nuclear power complex decimated by last week's massive earthquake and tsunami in northeastern Japan, where at least three nuclear reactors were threatening to melt down and a spent fuel pool was throwing off radiation. As the crisis appears to widen, so are concerns among the Japanese public about radiation exposure, a situation that the Japanese government is not effectively managing, Dr. Cham Dallas, director of the Institute for Health Management and Mass Destruction Defense at the University of Georgia told CBSNews.com. Dallas criticized Japan's management of a scare supply of potassium iodide doses that can alleviate radiation sickness if taken soon after exposure. Japan has only 230,000 doses -- fewer than the number of people evacuated from the radiation zone and far fewer than the population facing at least some exposure risk. It so far has not asked the U.S. or other countries with abundant supplies to deliver more doses of the pills -- at least not publicly. The Pentagon is starting to look at its stocks of potassium iodide and Prussian blue, which helps the body secrete Cesium to lessen radioactive contamination. CBS News learned that there are 30,000 doses of potassium iodide in South Korea, which may be moved to Japan. A dose of potassium iodide is enough for a 14-day treatment. Children are most susceptible, and they would be evacuated rather than given a 14-day treatment. But even given an unlimited supply of doses, Japan is botching its distribution plan for the iodide, which protects against thyroid cancer and other radiation risks. By restricting distribution to government health clinics, the government is likely keeping the drug out of the hands of those who need it. "You have to take it within an hour of exposure. After four hours it is not useful. After 12 hours it actually goes against you," he said. "It's unlikely that they're going to be able to get those does to the people in the therapeutic time frame." Public fears are about radiation are so high that voluntary exams are being administered as far as Niigata on the west coast of Japan, reports CBS News correspondent Harry Smith. 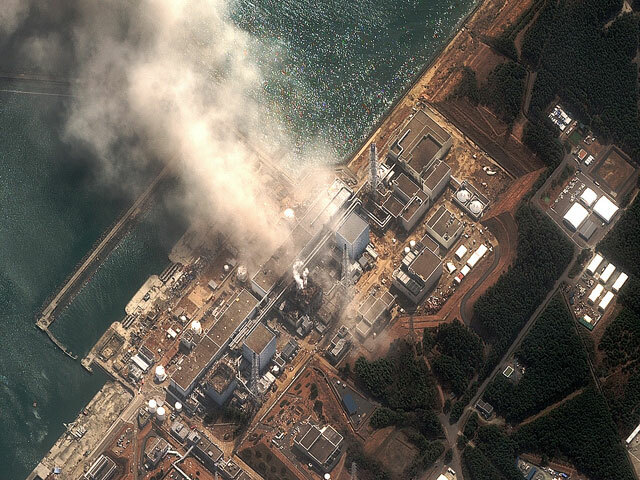 Radiation was also detected in Tokyo, triggering panic buying of food and water. Although deemed unfounded by a broad scientific consensus, fears about radiation exposure sparked surging sales of potassium iodide in the U.S. and other places far from Japan. A spokeswoman for Rep. Edward Markey told Reuters she estimates U.S. agencies have purchased about 2 million tablets of potassium iodide -- also known by its chemical name KI -- in the past decade, plus about 400,000 liquid doses for children. At least 22 states have distributed KI to residents within a 10-mile radius of commercial nuclear power sites, but Markey has repeatedly pushed to expand that radius to 20 miles, something industry groups and the Bush administration have resisted, but it getting new consideration amid the Japan crisis. To give some perspective on the dangers posed by the radiation, a chest X-ray emits about 1/10th of a millisievert, the unit of measurement for radiation. Nuclear plant workers are limited to 20 millisieverts a year, though that limit was raised to 250 milisieverts for on-site workers in light of the crisis. One hundred milisieverts in one dose can increase the risk of cancer, and 100 to 500 can cause bone marrow damage. Acute doses of over 1,000 milisieverts are considered extremely dangerous. Dallas also said that leaving the plant unmanned in the Wednesday evacuation was "extremely dangerous," leaving three partially melted reactor cores at the risk of further deterioration with no one on hand to perform backup measures. Nuclear crises can go from bad to worse almost instantaneously, Dallas said, especially in the case of a fire.